From Lone Tree, Colorado, Donatell is an extremely versatile athlete who played 4 sports (football, basketball, track, and baseball) in high school. As a QB, he threw for 1,686 yards and 23 touchdowns along with 625 rushing yards and 7 touchdowns during his senior season. He decided to attend Wake Forest University. Donatell began his Wake Forest career as a linebacker before moving to tight end in 2015. With one year of eligibility left, he enrolled at Western Kentucky, where he had 13 catches for 125 yards and 2 touchdowns. 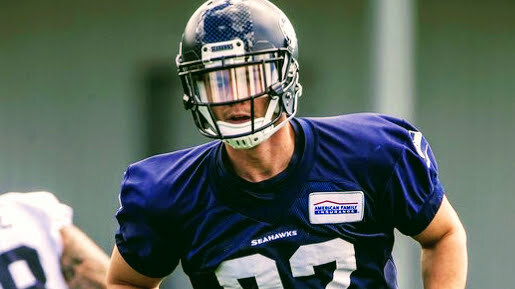 Undrafted, the 6’6″, 230 lbs Donatell was signed by the Seattle Seahawks, who also valued his potential at Long Snapper. In 2018, he will participate in The Spring League to prove to NFL scouts he belongs on football’s greatest stage. TSL DB Raysean Pringle signs with the Detroit Lions!